Foundation | Alamo Scouts Historical Foundation, Inc. The Alamo Scouts Association, (ASA) was organized in September 1980, in Kansas City, Missouri, by Colonel Robert S. Sumner and Command Sergeant Major Galen C. Kittleson. The Association is dedicated to maintaining the traditions of and being of service to members of the Alamo Scouts. On July 16th, 2012. 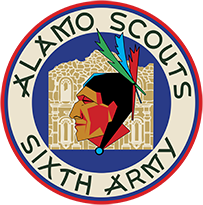 The ASA changed it’s name to the “Alamo Scouts Historical Foundation, (ASHF). The Foundation meets for t’s board meeting every year and has an active membership of approximately 100 members throughout the fifty states and in several foreign countries. Membership is open to all graduates of the Alamo Scouts Training Center who can produce a graduation certificate, or who can be vouched for by an active member. Membership is also available to those who served as instructors or as attached camp personnel. Family members of Alamo Scouts are welcome to join the foundation. We also are extending associate membership to non-Alamo Scouts or non-family members who wish to support the foundation, by approval of the officers. please direct all association inquiries via e-mail. Russ Blaise is the Executive Director and Board Chairman for the Alamo Scouts Historical Foundation and co-founder of this website. Audrene Burress is the Treasurer and Board Member for the Alamo Scouts Historical Foundation. Linda Nellist is the Secretary and Board Member for the Alamo Scouts Historical Foundation. Terry Santos is the Ambassador for the Alamo Scouts Historical Foundation. Lance Q. Zedric is the author of “Silent Warriors of World War II: The Alamo Scouts Behind Japanese Lines.” He is a lecturer on military affairs and special operations forces, historian for the Alamo Scouts Association and Board Member and co-founder of this website. The Alamo Scouts Historical Foundation (ASHF) is an organization comprised of World War II veterans of the Alamo Scouts, their families, and interested supporters. The Alamo Historical Foundation is dedicated to documenting the Alamo Scouts outstanding war record; preserving its unique military legacy through historical research and archival preservation; and educating the general public about the Alamo Scouts through the establishment of a permanent Alamo Scouts display at a national level museum. This is done through extensive and ongoing historical field work, to include 1) Interviewing Alamo Scouts and other relevant WWII veterans as part of the Alamo Scouts Historical Foundation’s Oral History Program 2) Serving as a physical repository for Alamo Scout interviews, historical source documents, photographs, memorabilia, and ephemera 3) Conducting on-site research trips to institutions within the U.S. National Archives (NARA) system and to U.S. military post archives, and to appropriate foreign archives when feasible 4) Establishing and maintaining an organizational website and newsletter 5) Promoting and increasing public awareness of the Alamo Scouts through seminars at civic and educational institutions 6) Acting as a conduit to print and electronic media organizations 7) Providing accurate historical information to the entertainment industry and 8) Facilitating and participating in ceremonial military programs recognizing the Alamo Scouts military contribution.